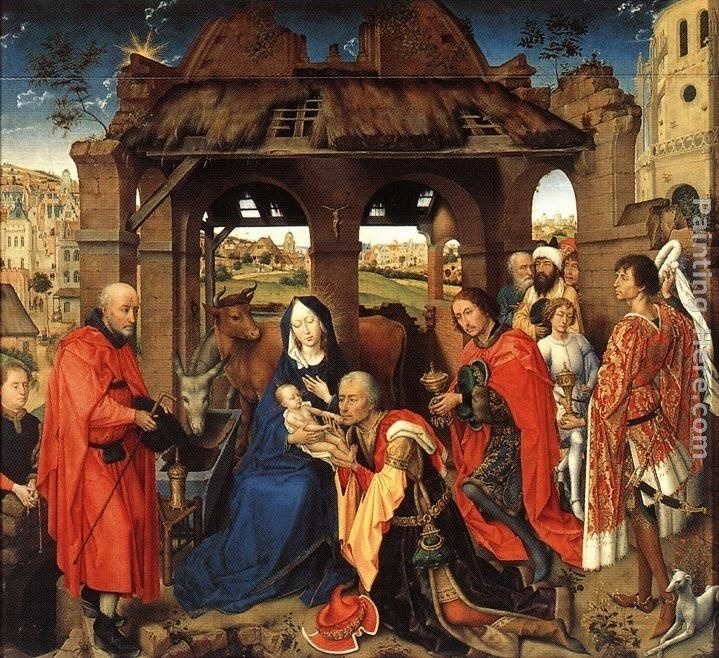 In the late 15th century Hugo van der Goes was one of the leading Early Netherlandish painters, ranking alongside renowned artists such as Jan van Eyck, Rogier van der Weyden, Hans Memling and Gerard David. Yet, van der Goes set himself apart from his peers with eccentric and deeply religious works that often had a disturbing spiritual quality. His most famous surviving painting is the Portinari Altarpiece, also known as The Nativity, and this is the only piece confidently attributed to him as none of his paintings were signed. The Portinari Altarpiece was commissioned for the church of San Egidio in the hospital of Santa Maria Nuova in Florence and was the largest Netherlandish work on display in the city. 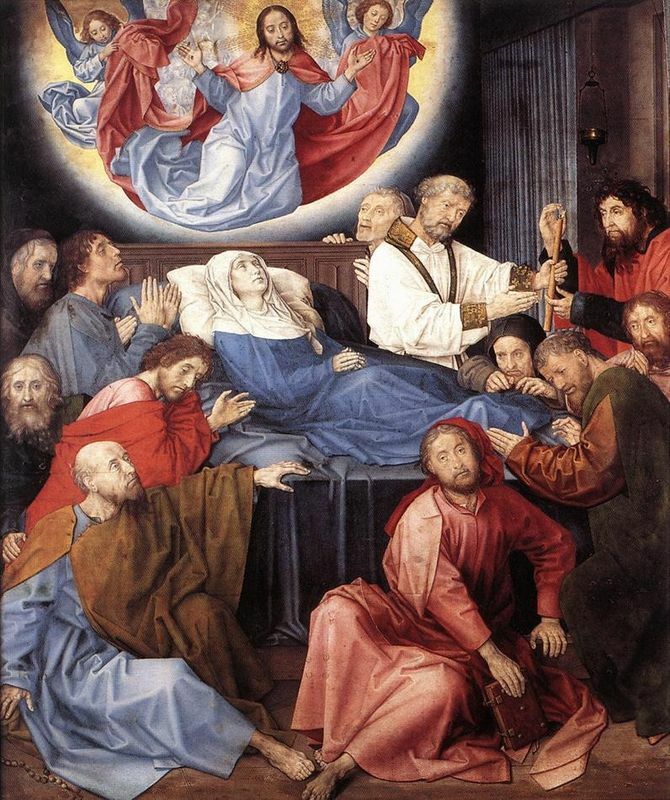 Met with critical acclaim, it established Hugo van Goes as one of the greatest Flemish artists the world has ever seen. 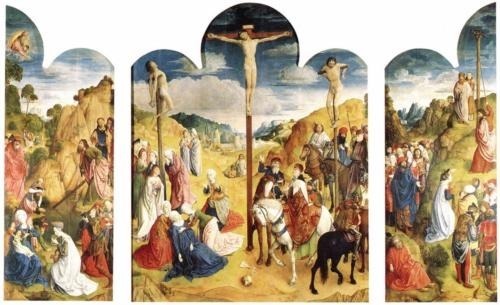 Other religious paintings frequently assigned the artist include the Calvary Triptych, Death of the Virgin and the Monforte Altarpiece. Hugo van der Goes' early life is something of a mystery but he is first documented in 1467 as a member of the Artist's Guild of Ghent, Belgium, which may have been his birthplace. In 1468 van der Goes helped decorate the town of Bruges in celebration of the marriage of Charles the Bold and Margaret of York. 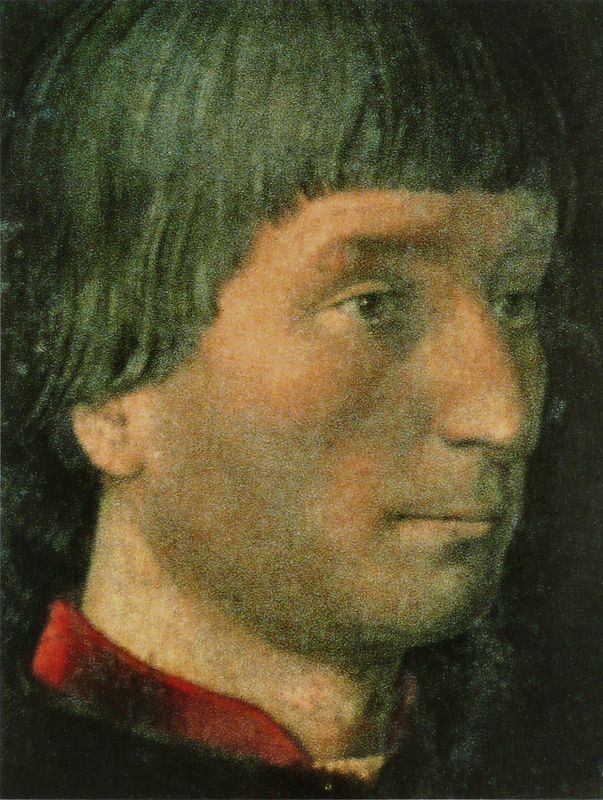 Afterwards, he received many commissions from the town of Ghent for temporary work such as heraldic shields and processional banners for other grand occasions, and these included the transference of the remains of Philip the Good to Dijon in 1473. 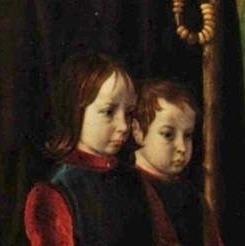 In around 1475 van der Goes became dean of the painters' guild in Ghent and later entered a priory near Brussels as a lay-brother, but still spent a great deal of time painting and traveling. His masterpiece and the only work confidently attributed to him is the Portinari Altarpiece, produced in around 1478 and featuring a scene called The Adoration of the Shepherds on its centre panel. Commissioned by Tommaso Portinari who worked for the Medici Bank in Bruges, this work is one of the greatest early examples of northern Realism and its level of emotional intensity was previously unseen in Flemish painting. With depressive tendencies Hugo van der Goes suffered a mental breakdown in 1481 and attempted to take his own life. Despite making a full recovery, he passed away the following year. 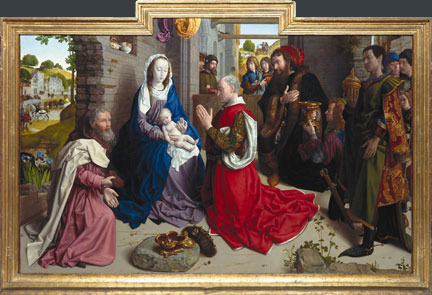 Although his career was short, Hugo van der Goes still made his mark on the art world and his artistic style can be divided into three distinct periods, each of which produced its own masterpiece; the first period is defined by the Monforte Altarpiece, the second by the Portinari Altarpiece, and the last by Death of the Virgin. 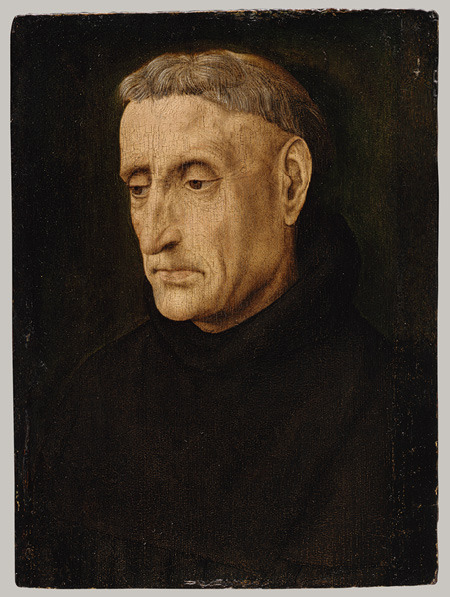 All of these works are rather tentative and demonstrate the influence of preceding artistic greats such as Jan Van Eyck and Rogier Van der Weyden, particularly with regards to their composition and iconography. Like Van Eyck, Hugo van der Goes created superbly detailed paintings and grand spaces, and his figures also tended to merge into natural surroundings. However, even very early on in his career van der Goes was very much a unique artist and sought to develop the forms left behind by his predecessors rather than merely copy them. The Monforte Altarpiece, a large-scale triptych which outshines the artist's other early offerings, is based on the theme of the Adoration of the Magi. Van der Goes' second stylistic phase was altogether different with a colder palette that saw the addition of silver and gold leaf and a much greater use of white. Moreover, the clothing he depicted was more decorative and accentuated the forms of the figures, their poses and facial features. 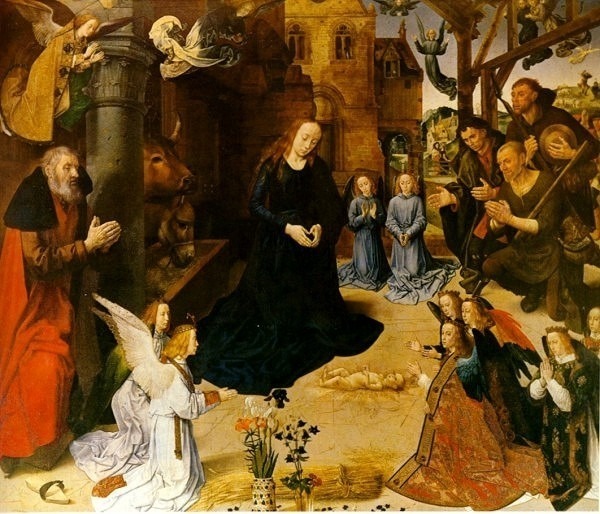 At this point in his career van der Goes reverted back to the mediaeval tradition of increasing a figure's size according to their social or religious status and such changes in style are evident in the Portinari Altarpiece. Technical changes such as the way the artist applied paint and assembled the panels are also obvious in this work. The major work emerging from van der Goes's third period (between around 1478 and 1482) is Death of the Virgin. Generally thought to be his last painting it exploited space and color for emotional effect, like so many of his later offerings. Brimming with tension and poignancy Death of the Virgin was rather apt for a painter with such a tormented personality. Hugo van der Goes is considered an exceptional artist who created paintings on a surprisingly large scale, both literally and in the unique size of his figures. His greatest work of art, the Portinari Altarpiece which was commissioned by Florentine banker Tommaso Portinari, who worked from the powerful Italian de' Medici family in Bruges, is considered one of the greatest early examples of northern Realism. Full of spiritual content the Portinari Altarpiece combines still-life detail with symbolic intent, and shows unprecedented psychological insight in portraiture, particularly in the faces of the shepherds and the Portinari children. This work achieves an emotional intensity that was unmatched in Flemish painting and when it arrived in Florence, its vibrant colors and acute attention to detail wowed many Italian artists and proved highly inspirational. Due to his skillful handling of oil painting in the Portinari Altarpiece, Hugo van der Goes influenced Italian painters who observed his work in Florence, as well as his Flemish contemporaries. After his death a vast number of drawings were left behind, and based either on these or his paintings themselves followers made countless copies of compositions and imitations that have not survived from van der Goes' own oeuvre. Many of these copies were created by easel painters and makers of illuminated books. Paintings from his first two periods were most favored but his late works drew few admirers. Thus, Hugo van der Goes' name has been mentioned in theoretical works and travelers' accounts throughout the ages and was not lost to posterity like so many Flemish artists.